Knowing every risk to your business presents a serious challenge, and with the recent 80% increase in OSHA fines, construction companies need new strategies to address worksite safety. Construction sites are full of hazards. While you can’t dismiss a single safety aspect on your site, you need to use your time wisely — and prioritize the hazards that cause the most harm. Knowing and abiding by every risk relevant to your work presents a serious challenge, but the high safety stakes and legal ramifications make compliance mandatory. Learn the three tips that can help you stay on top of the regulations. Today, technological innovations have emerged to help construction professionals keep up with relevant OSHA regulations more efficiently. But technology budgets are lower in construction than any other industry. Discover the tools saving companies hundreds of hours. 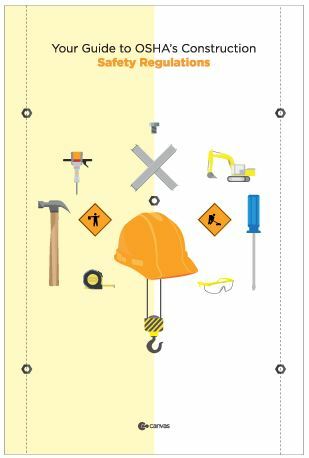 Now you can download one of Canvas’s most popular e-books — free — on OSHA compliance for construction firms. The top 100 features 7 new contractors, including international accounting firm Deloitte LLP, package delivery company United Parcel Service (UPS), and linguistic services provider Mission Essential Personnel. The FCMD now includes misconduct information on 160 of the federal government’s largest suppliers of goods and services. Hamilton, Lockheed Martin, and Northrop Grumman. following last year’s massive oil spill in the Gulf of Mexico. card (“P-card”) program at the Department of Energy’s Hanford Nuclear Site. hexafluoride (UF6) conversion facility in Illinois. Humana’s $3.4 million fine for violating Florida’s Medicaid fraud reporting law. City on the CityTime information technology project. spent each year on federal contracts and grants. – Neil Gordon is a POGO Investigator. Published Sept. 29, 2011 at http://pogoblog.typepad.com/pogo/2011/09/move-over-fapiis-pogo-freshens-up-its-contractor-misconduct-database.html.